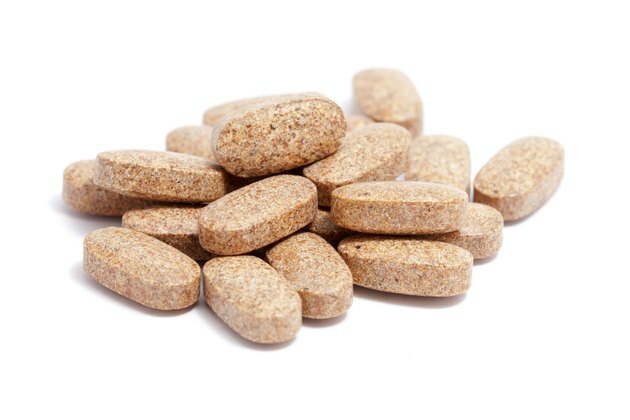 Can You Get Diarrhea From Taking a Multivitamin? Taking a multivitamin isn't likely to cause diarrhea on its own, but if you take it in combination with other vitamin supplements or medications, or if it contains a certain ingredient, you may experience adverse effects, including diarrhea. This is more likely when you take supplements of vitamins C, D or E along with your multivitamin, or you take supplements at a higher dose than is recommended by your doctor. Taking large amounts of vitamins C, D or E can cause diarrhea in some people. To avoid this, choose a multivitamin that doesn't contain more than 100 percent of the recommended daily value of any vitamin, and don't take individual vitamin supplements of these vitamins along with your multivitamin. Consider the amount of each vitamin found in your multivitamin as well as that found in any fortified foods you eat, as sometimes the amount of a vitamin you get from multiple sources can add up to more than the tolerable upper intake level for that vitamin if you're not careful. Check with your doctor before starting to take a multivitamin to make sure it won't interact with any of the medications you're taking. Multivitamins may interact with antacids, antibiotics, blood pressure medications, diuretics, nonsteroidal anti-inflammatory medications, sulfa drugs and tretinoin, according to Drugs.com. In some cases, you can take a multivitamin at a separate time from your medication to avoid adverse effects, but other times you may need to avoid taking multivitamins while you're on a particular medication. Some multivitamins, especially chewables or gummies, may be sweetened with a sugar alcohol called sorbitol. For people who are especially sensitive to the laxative-like effects of sorbitol, these multivitamins could potentially cause diarrhea. If you're sensitive to sorbitol, check the ingredients label of your multivitamins or ask a pharmacist for help with choosing a sorbitol-free brand.